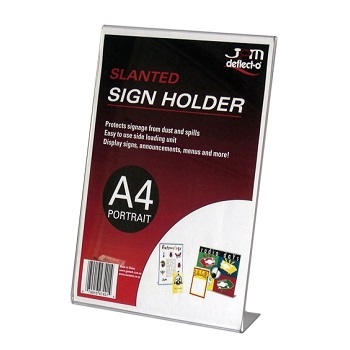 Unique four in one multi-use design A4 sign holder. 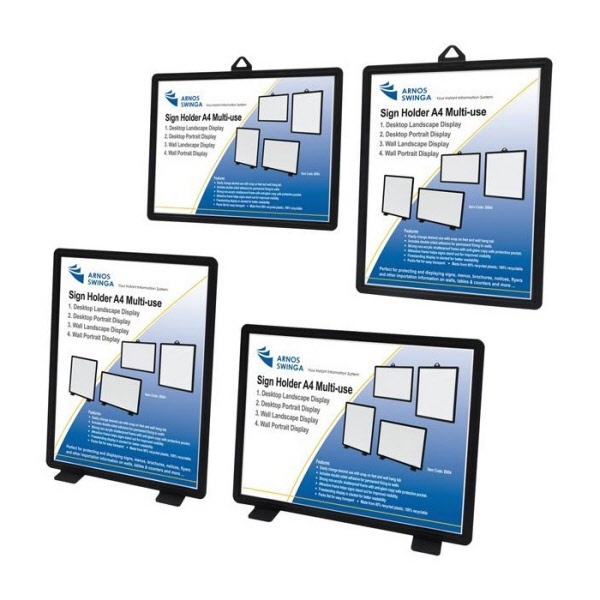 Strong non-acrylic shatterproof frame with anti-glare copy safe protective pocket. Wall mount or Freestanding use in either Portrait or Landscape orientation. Easily change desired use with snap on feet and wall hang tab. 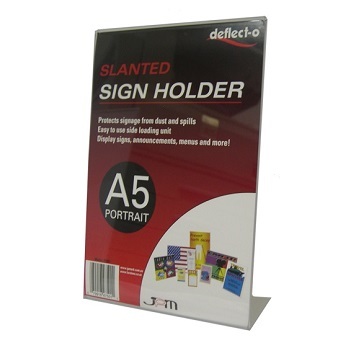 Individual sign holder complete with double-sided adhesive for permanent fixing to walls. Made from 80% recycled plastic. 100% recyclable. Portrait style A4 Menu/Sign Holder slanted for good content visibility. 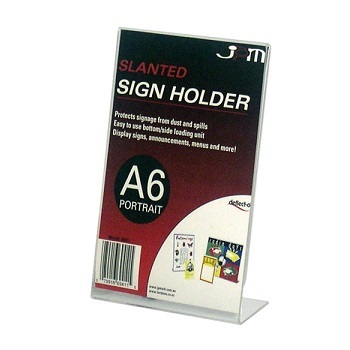 Ideal for displaying documents, menus, wine lists, point of sale material, photos, etc. Size/Style - A4 Portrait Slanted. Crystal clear for perfect visibility. Flat L-shaped base for single sided display. Portrait style A5 Menu/Sign Holder slanted for good content visibility. Size/Style - A5 Portrait Slanted. Portrait style A6 Menu/Sign Holder slanted for good content visibility. Size/Style - A6 Portrait Slanted.